Despite failing to sustain the country’s 4-year placement streak in the Top 5 of the Miss Universe pageant, Miss Philippines Mary Jean Lastimosa said she had no regrets. MJ was a heavy favorite in the pageant and was even touted as one of the girls to beat in the competition. 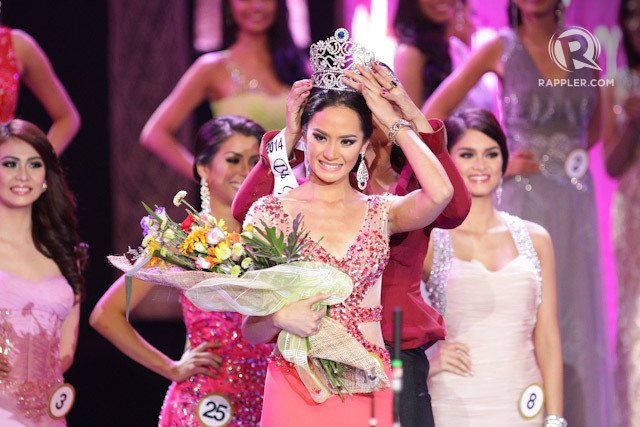 She made it to the Top 10 of the competition, but didn’t advance to the Final 5 — the first time for a Miss Philippines since 2010. The Bb Pilipinas Charities Inc and its chair Stella Marquez Araneta were lambasted after MJ failed to secure a spot in the Top 5. Many fans attributed the loss to the evening gown worn by MJ, which was designed by Colombian Alfredo Barraza. 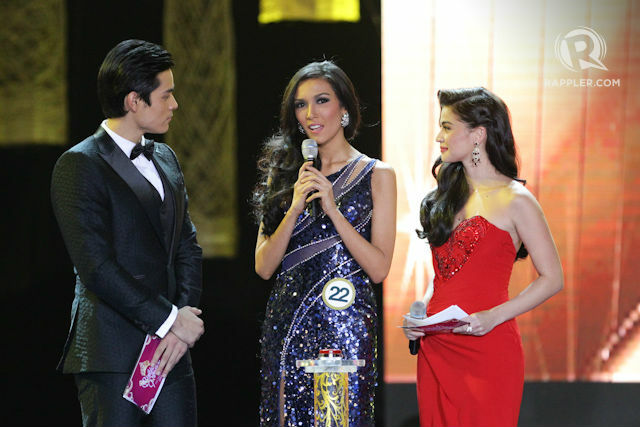 But MJ, in an interview with ABS-CBN’s Ginger Conejero, asked supporter to not blame the loss on her gown. Despite this, the North Cotabato beauty came home with pride and gratefulness, knowing how Filipinos expressed their overwhelming love and support for her during the pageant. “I’m so happy I’m finally back after a month, di ba? 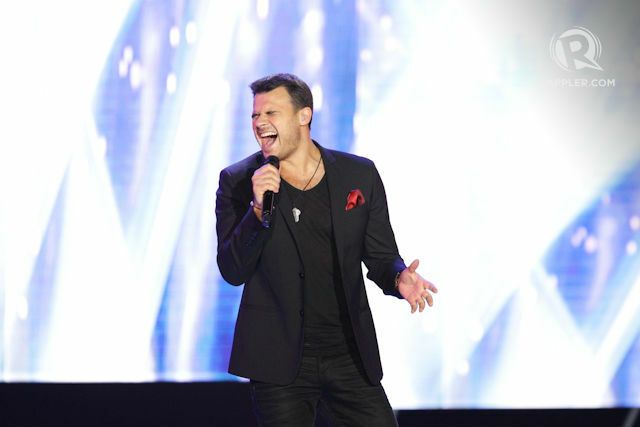 Sobrang, I had a great experience in Miami, Florida, feeling ko ang tagal nag-stay doon because the people are very nice, warm yung pagkaka-welcome sa amin, sa mga candidates,” MJ said. “It was a great experience knowing all the girls, sharing my culture, sharing what Filipinos are. And I think they embraced us, I think they love us there. It was a great experience all in all,” she added. It was a victory 57 years in the making. In front of an estimated one billion viewers worldwide, Paulina Vega was crowned Miss Universe 2014 at the FIU Arena in Miami, Florida on January 25, besting 87 other candidates from around the globe. Vega is the second woman to take home the Miss Universe crown from Colombia. Born in the town of Barranquilla, the 22 year-old is a business administration student at the Universidad Javeriana in Bogota. She graduated from a German school in Colombia, and speaks English and a bit of French. She has been a model since she was eight and belongs to a big family with four sisters and three brothers. Miss USA Nia Sanchez was first runner-up while Miss Ukraine Diana Harkusha finished second runner-up. Third runner-up was Yasmin Verheijen of Netherlands while crowd favorite Kaci Fennell of Jamaica ended up 4th runner-up. 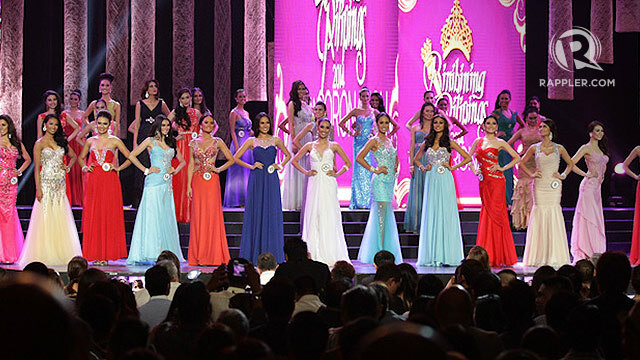 The rest of the Top 10 were: Miss Argentina, Valentina Ferrer; Miss Australia, Tegan Martin; Miss Philippines, Mary Jean Lastimosa; Miss Spain, Desire Cordero Ferrer; and Miss Venezuela, Migbelis Castellanos. Completing the Top 15 semifinalists were: Miss Brazil, Melissa Gurgel; Miss France, Camille Cerf; Miss India, Noyonita Lodh; Miss Indonesia, Elvira Devinamira; and Miss Italy, Valentina Bonariva. This was the first time since 2010 that the Philippines failed to place in the Top 5. Miss Photogenic Universe award went to Miss Puerto Rico Gabriela Berrios while Miss Indonesia won the Best National Costume after topping the Twitter votes. Miss Nigeria Queen Osme Celestine was voted by her peers for her as the most congenial, charismatic and inspirational participant, en route to winning the Miss Congeniality Universe award. The official web interviews for the 63rd Miss Universe pageant were made available earlier today on YouTube. The change in the format was a welcome move because we get to know more about the girls instead of just asking them a two or three random questions (from previous editions). After watching all 88 girls, I would want to share my favorite Web Interviews. What were my criteria for picking these 20 girls? First, they should be able to get the message across without going around the bush. Second, there should be an air of genuineness in their manner of speaking. Finally, they must be remarkable. Miss Universe Philippines Mary Jean Lastimosa faces great pressure following the country’s four consecutive runners-up finishes in the Miss Universe pageant. Under Binibining Pilipinas MJ took courses on personality development and cultural immersion, had Q&A practice sessions and also focsed on toning exercises at the gym. She also got valuable insights from former beauty queens, including her best friend Shamcey Supsup. “Shamcey told me to know myself better, to know my values and where I stand in life. It’s easy to be consumed by the competition, but knowing myself gives me confidence that allows me to shine,” MJ said. Before the send-off party, Bb Pilipinas 2014 queens led by Lastimosa spent an afternoon with kids from the Diocese of Novaliches. Last week, I got the chance to interview Miss Universe Philippines 2014 Mary Jean Lastimosa for Missosology about her preparations for the upcoming Miss Universe pageant. Finally, the article is now up on the pageant news website. So here it is! She still has two months to prepare before the Miss Universe pageant kicks off in Doral, Florida, but Mary Jean Lastimosa is not slacking. While she said she is “more relaxed” now because she is given the longest time to prepare, she said she is “learning a lot” from the intensive training she and the rest of the Bb Pilipinas 2014 girls are undergoing. Aware that she couldn’t please anyone, Lastimosa said that she also takes into consideration the comments she receives from people. “I look at it on a positive way that maybe there’s a point why they are saying that (negative comment) so I evaluate myself as well. If they say something that I need to improve on, I focus on that and try to be the best that I could be,” she said. The good thing about being the last to compete, she said, is that she gets to enjoy her reign as Miss Universe Philippines. “Unlike the previous queens who only enjoy their reign for like three months before they compete, I get to travel around the Philippines, meet and inspire a lot of Filipinos along the way,” Lastimosa said. She also gets herself updated with the latest from the expected Miss Universe candidates through social media, as fans keep on tagging her on photos of the other candidates. Asked who she thinks could be her toughest competition, she said Misses USA and Venezuela are among the ones to beat. “All the girls are gorgeous and beautiful in their own way … but you wouldn’t know because some of [the contestants] will step up when they get there (Doral),” she said. Lastimosa shared her excitement about the upcoming competition and hopes to be able to make the Filipinos happy if she wins the Miss Universe crown. If you think the training for Bb Pilipinas queens are all about pasarela, projections and hair and make-up sessions, think again! Last week, the Binibinis had a chance to partitipate in a small culture and language exchange session with Couch Surfing Quezon City group. The girls gained new learnings about Germany, Belgium, Austria, and Japan. They also had a focused Japanese culture sharing with the UP Japanology Society. Bb Pilipinas International 2014 Bianca Guidotti surely learned a lot from this as she will be competing in Tokyo for the Miss International pageant next month.